Brightcove Usability Studies: Help Us Help You! The Brightcove product design team has just wrapped over 50 usability session with wide-ranging Brightcove customers. Brightcove uses these inputs to inform feature development and enhancements. To learn more about the process, some recent features directly influenced by the usability, and to get involved, check out the most recent post in Brightcove's design team blog, Interaction Aesthetics. 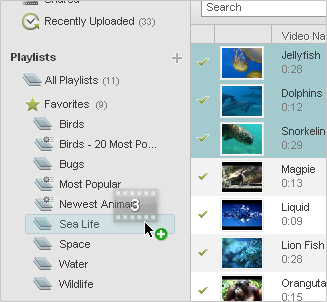 Thanks to your input, we enhanced the "favorites" feature allow you to bookmark playlists that you edit often and drag and drop videos directly into them.